A large collection of video tutorials showing how to create a variety miniature meals, desserts, snacks, fruits, vegetables, meats, poultry, fish, cakes, pies, breakfasts, lunch and dinners. Playlist includes 11 tutorials for a variety of realistic miniature breakfast foods. Playlist includes 8 tutorials for a variety of realistic dollhouse breakfasts. Playlist includes 16 tutorials ~ sandwiches, chips, burgers, fries, cookies & a variety "Hostess" products. Playlist includes 6 tutorials for a variety of pizzas, boxes, pizza cutter and Pizza Hut & Dominoes inspired pizzas. 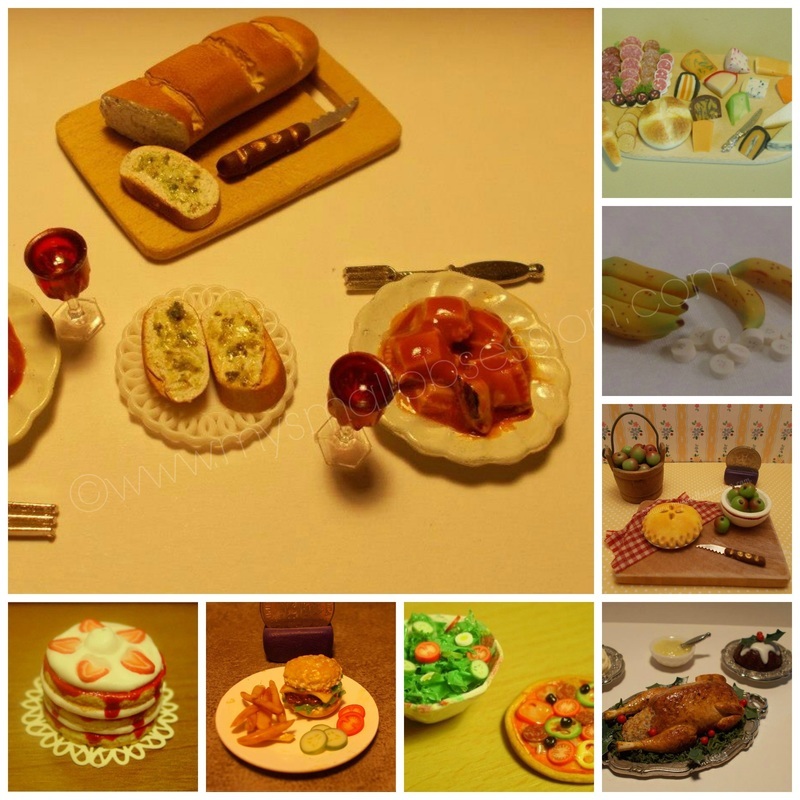 Playlist includes 17 tutorials for a variety of realistic miniature meals. Playlist includes 20 tutorials for a variety of realistic miniature pies and desserts. Playlist includes 22 tutorials for a variety of realistic miniature cakes. Playlist includes 14 tutorials for a variety of realistic miniature meats, fish and seafood, cooked and raw. Playlist includes 6 tutorials for a variety of realistic miniatures breads. Playlist includes 16 tutorials for a variety of realistic miniature vegetables. Playlist includes 14 tutorials for a variety of realistic miniature fruits. Playlist includes 22 tutorials for a variety of realistic "fast food" inspired meals. Follow My Small Obsession's board Miniature Food & Groceries Printables on Pinterest. Follow My Small Obsession's board Miniature Food Tutorials on Pinterest.